Thought about locking in an El Calafate vacation package? It's really easy with Expedia, and you'll be able to buy some fancy dinners or souvenirs for your friends back home with the money you save. With just a few clicks, you can book everything you'll need for your next adventure through our enormous database. And — with more than 400 partner airlines and 321,000 properties from all over the world, you'll have the flexibility to be fussy! You can cancel or change almost any booking and you won't pay any extra fees to us. Can't wait for your trip to El Calafate? Need some suggestions about what to do when you arrive? That's what we're here for! Stroll down to the edge of Laguna Nimez and find out how far you can skim a rock along its peaceful surface. There's a fabulous range of things to keep you busy in this destination. Our planet abounds with many surprising creatures, plants and discoveries. A trip to El Calafate Regional Museum will give you a closer look at the science of the natural world. Still got time on your hands? If you've got an inquiring mind, it's worth taking the trip to Argentinian Museum of Toys. You never know what you could encounter here! When we reflect on our travels, we usually remember experiences rather than our posh hotel room and its view of the sea. Ready to create some new vacation memories? For a more comprehensive range of activities, head to our El Calafate things to do page. While El Calafate does have 49 accommodations to choose from, it's always wise to reserve a room beforehand. Not sure where to start? Expedia is here to help with your cheap vacation or luxury getaway. 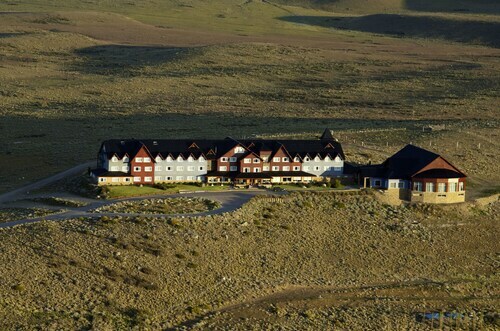 El Calafate's premium choices such as the Hotel Posada Los Alamos (Ing. Hector Mario Guatti 1135) and the Xelena Hotel & Suites (René Favaloro 3548) are sure to satisfy even the fussiest vistors. If you'd prefer to spend your precious dollars on things like thrilling adventures and wild nightlife, why not investigate a few of our budget options? The Hotel La Loma - Hostel (Julio A. Roca 849) and the Hotel Punta Norte (25 Mayo 311) are a couple of recommended ones. Go through security, board the plane, track down your allocated seat and get cozy! Your well-deserved trip to El Calafate is just a plane ride away. When you arrive at Comandante Armando Tola International Airport (FTE), you will be around 10 miles (16 km) from the heart of town. Put on a pair of crampons and trek across this mesmerizing glacier to inspect its intriguing features, including a giant rupture. Kayak in the freezing water to reach the blue-white edge of this enormous glacier, one of Argentina’s major forces of nature. 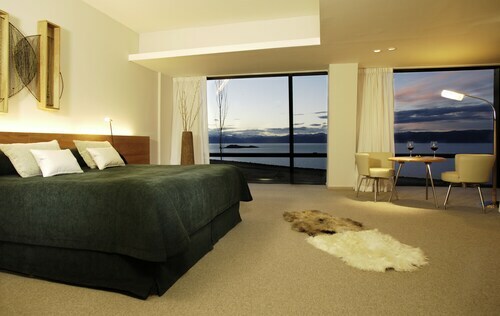 Located in Macrozona Meseta Cerro Calafate, this luxury hotel is within 1 mi (2 km) of Lake Argentino and Bahia Redonda. Plaza de los Pioneros and Laguna Nimez are also within 2 mi (3 km). Located in Macrozona Bahía Redonda y Primeros Faldeos, this luxury hotel is 0.2 mi (0.3 km) from Bahia Redonda and within 3 mi (5 km) of Anfiteatro Del Bosque and Gnome Village. Argentinian Museum of Toys and Santa Teresita del Nino Jesus Church are also within 3 mi (5 km). Located in Macrozona Bahía Redonda y Primeros Faldeos, this hotel is within a 5-minute walk of Gnome Village and Anfiteatro Del Bosque. Argentinian Museum of Toys and Santa Teresita del Nino Jesus Church are also within 10 minutes. 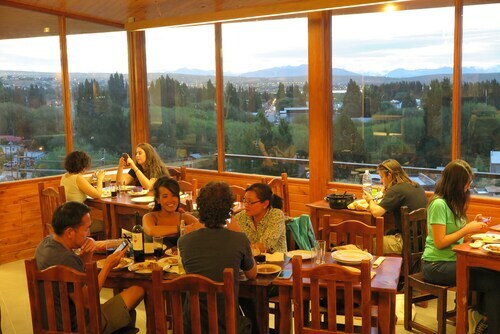 Located in Macrozona Meseta Cerro Calafate, this hostel is within a 10-minute walk of Plaza de los Pioneros and Santa Teresita del Nino Jesus Church. Argentinian Museum of Toys and El Calafate Historical Interpretation Center are also within 15 minutes. Located in Macrozona Bahía Redonda y Primeros Faldeos, this hotel is within a 10-minute walk of Bahia Redonda and Anfiteatro Del Bosque. Gnome Village and Argentinian Museum of Toys are also within 1 mi (2 km). 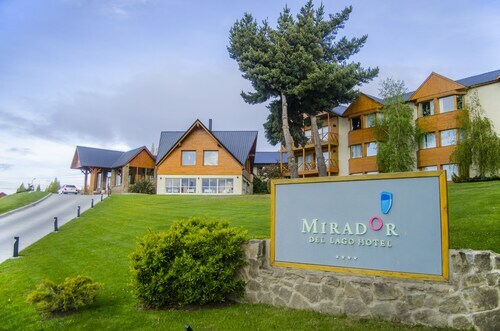 Located in Macrozona Meseta Cerro Calafate, this luxury hotel is within 2 mi (3 km) of Plaza de los Pioneros, Santa Teresita del Nino Jesus Church, and Argentinian Museum of Toys. Gnome Village and El Calafate Historical Interpretation Center are also within 3 mi (5 km). Located in Macrozona Bahía Redonda y Primeros Faldeos, this romantic hotel is within a 15-minute walk of Gnome Village, Argentinian Museum of Toys, and Plaza de los Pioneros. Santa Teresita del Nino Jesus Church and Anfiteatro Del Bosque are also within 15 minutes. 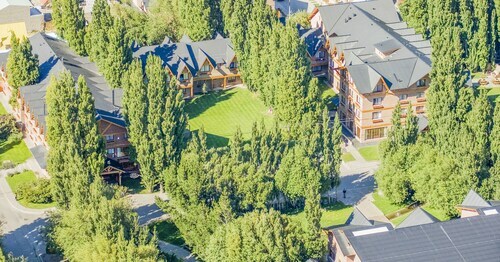 This family-friendly El Calafate hotel is located near the airport, within a 10-minute walk of Gnome Village, Anfiteatro Del Bosque, and Argentinian Museum of Toys. El Calafate Regional Museum and Calafate History Exhibition Hall are also within 10 minutes. Sat., 12 Oct. - Wed., 16 Oct.
Wed., 14 Aug. - Thu., 22 Aug. Sun., 26 Jan. - Fri., 31 Jan.